Drop the rat down the drainpipe. 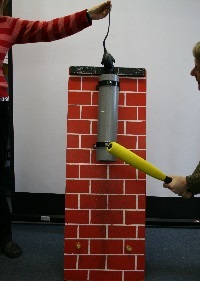 When it comes out, players have to try and whack it before it hits the ground. Freestanding board with drainpipe attached (brickwork pattern painted on).